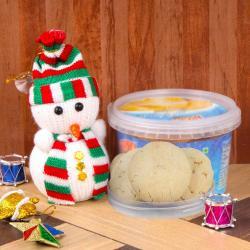 Product Consist : Christmas Tree (Size : 7 inches) along with Nankhatai Cookies (Weight : 150 gms). Fascinate your home décor with this beautiful Elegant Gold Xmas Tree. Crown the home with wonderful charisma of allure and bliss of dazzling grace. 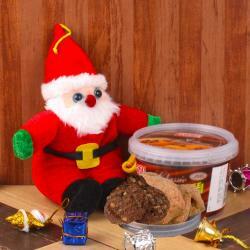 You can gift up your loved ones too with this extravagant amour gift and let them cherish your love. 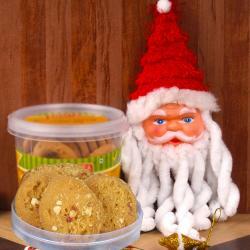 This Hamper also come with delicious cookies to make your dear one more special and delight them on occasion of Christmas which is known for its spectacular taste and yummynes. 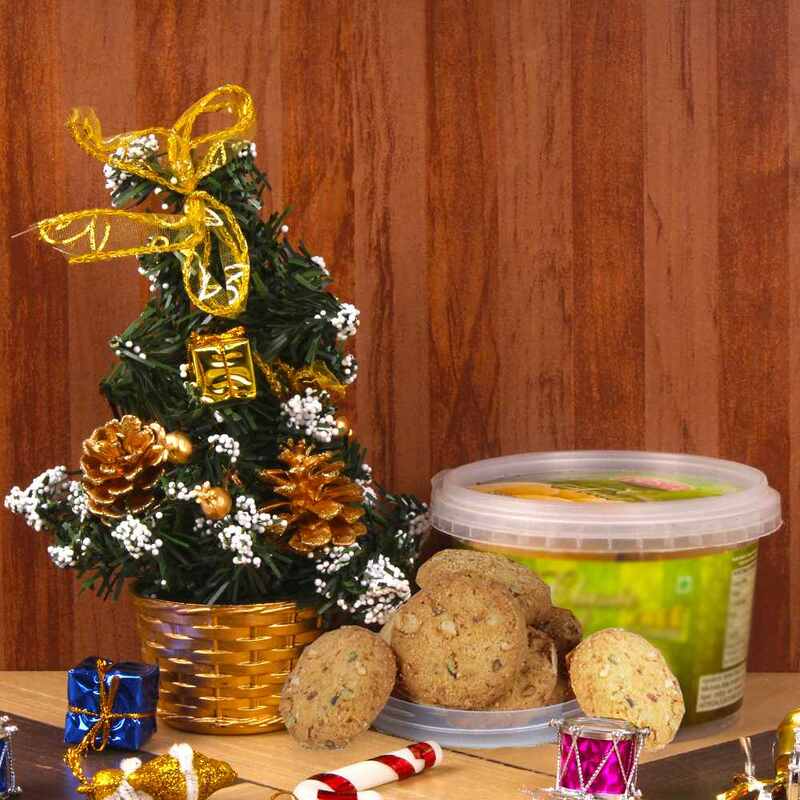 Product Consist : Christmas Tree (Size : 7 inches) along with Nankhatai Cookies (Weight : 150 gms).